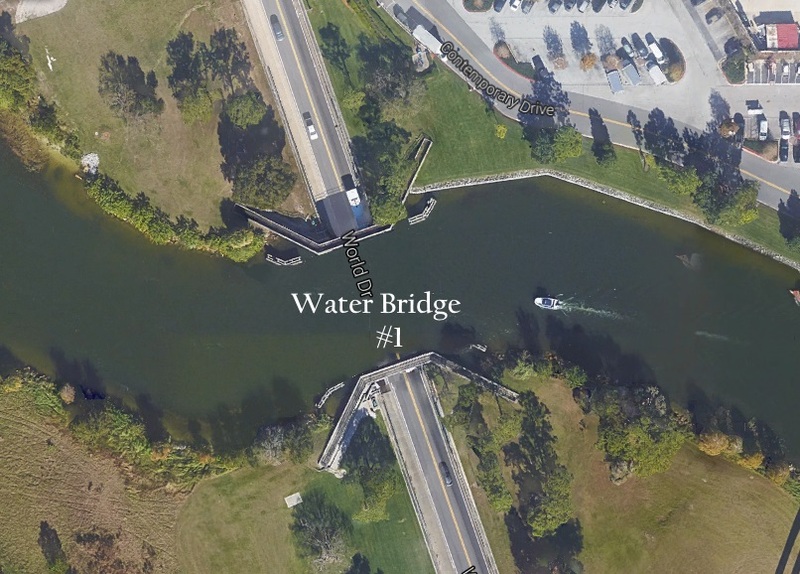 Trivia: How many water bridges exist at Disney World? 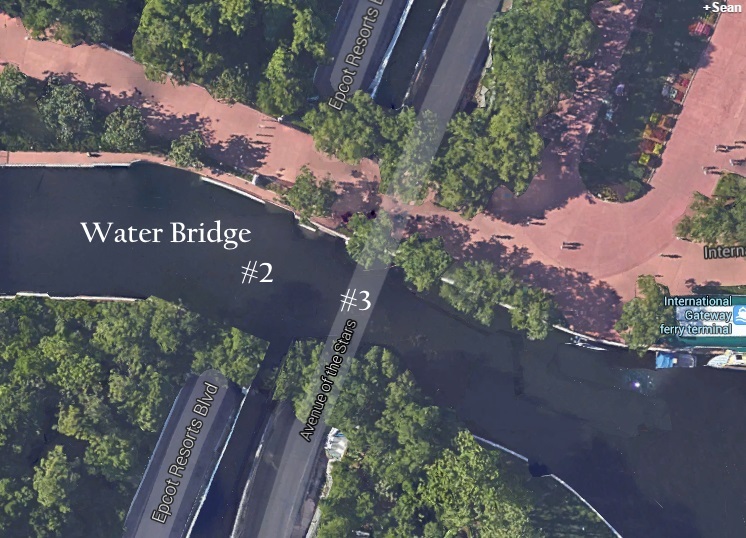 How many water bridges exist on the Walt Disney World Property? As you head to the Magic Kingdom and travel along World Drive, have you noticed the water bridge? A standard bridge allows cars to travel over a water source, but a water bridge is the opposite and allows water to travel over the road. Why would a water bridge be constructed you might ask. There are many different reasons, but the main reason here was for aesthetics. The look and feel around the Seven Seas Lagoon was supposed to break you away from reality as you entered the magical world of the Magic Kingdom. Having a large vehicle bridge that was visible as you traveled across the Seven Seas Lagoon would have created a path continuing reality into the Magic Kingdom. Plus I think you would all agree the water bridge is very cool. 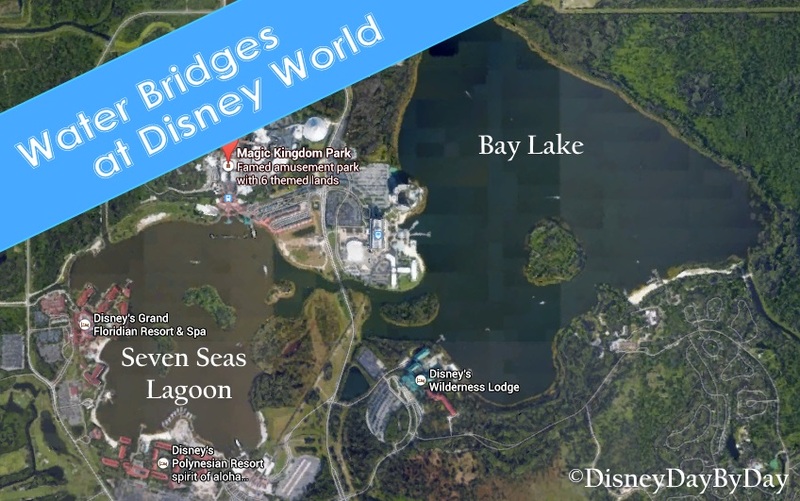 Now back to our question, you know of the water bridge on World Drive, but how many water bridges are on Walt Disney World Property? 1. One is mentioned above and located just south of the Contemporary Resort on World Drive. 2. 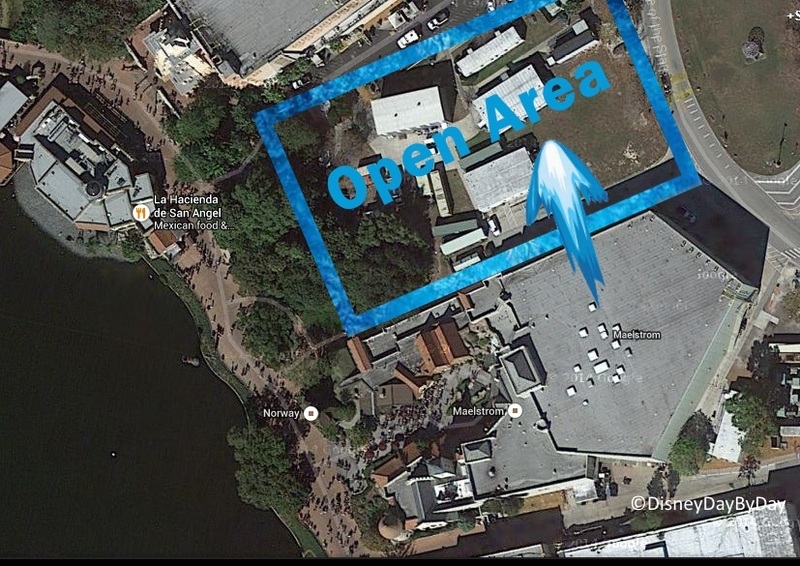 The next one can be found just north of the Boardwalk Resort, where Epcot Resorts Boulevard passes under. 3. The last one is found directly next to #2 where the backstage road Avenue of the Stars passes under the water. Be sure to check out more trivia from our friends below. 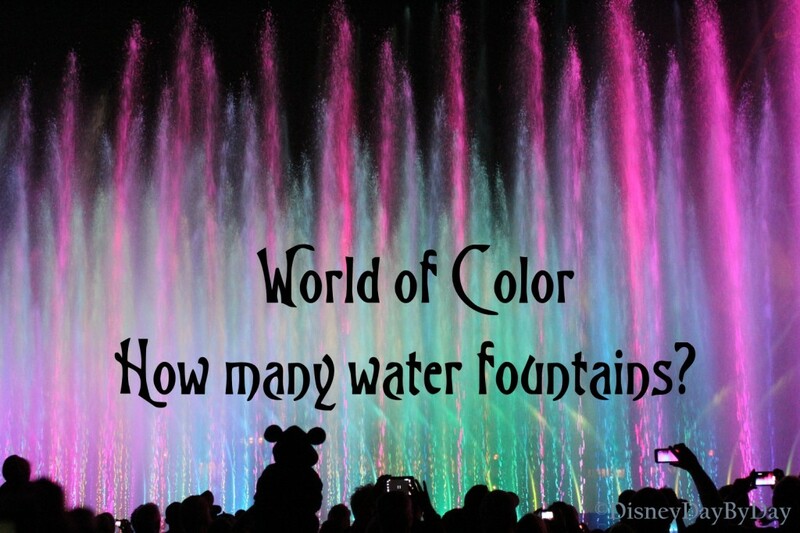 Disney Trivia – How many fountains in the World of Color? World of Color is the night time show that is presented at the Disney California Adventure park in the Paradise Pier area. This is an amazing show with colorful water fountains that move in all directions, movie projections on mist screens, and of course Disney music from past and present. 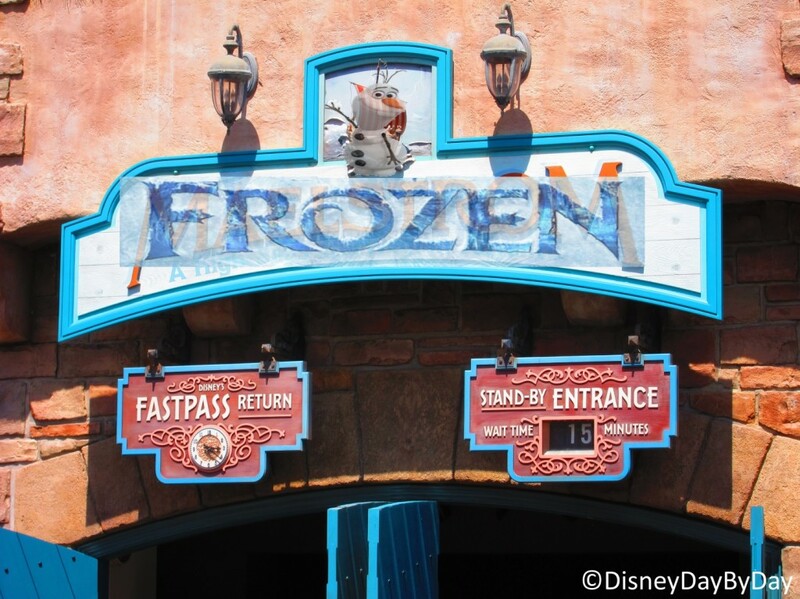 The best viewing spots, including those that you have to have a fastpass for, are directly in front of The Little Mermaid Attraction. Be sure to arrive early and be prepared to stand for awhile. About 45 mins before the show starts they require people in the area to stand to allow others to come in and fill in any open area. Besides being able to grab a fast pass you can also reserve a dining experience that includes passes to a viewing location. A show similar to this will soon join the waters at the Animal Kingdom Park – this show titled “Rivers of Light Nighttime Spectacular” will be the first night time show at Animal Kingdom and will feature floating lanterns, water screens and animal imagery. 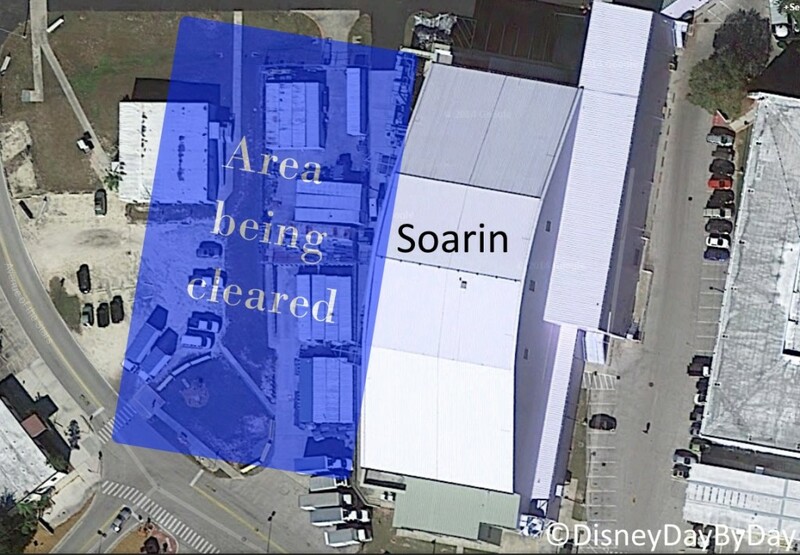 The show will be in the larger body of water between Discovery Island and Expedition Everest. Dates have yet to be announced on when this will begin but construction is well underway. Now let’s get to our trivia: How many fountains do you think are used during the show? These fountains can shoot water 30 to 200 feet into the air, that’s 50 feet taller than Mickey’s Fun Wheel in the background. How many did you count? The answer to this week’s trivia is 1200. Each fountain is individually controlled for different colored lighting along with intensity and the height and angle of the water. Our video doesn’t give it justice, it is truly an amazing site to see and highly recommended if you are visiting the park. For more trivia be sure to stop by our friends below. 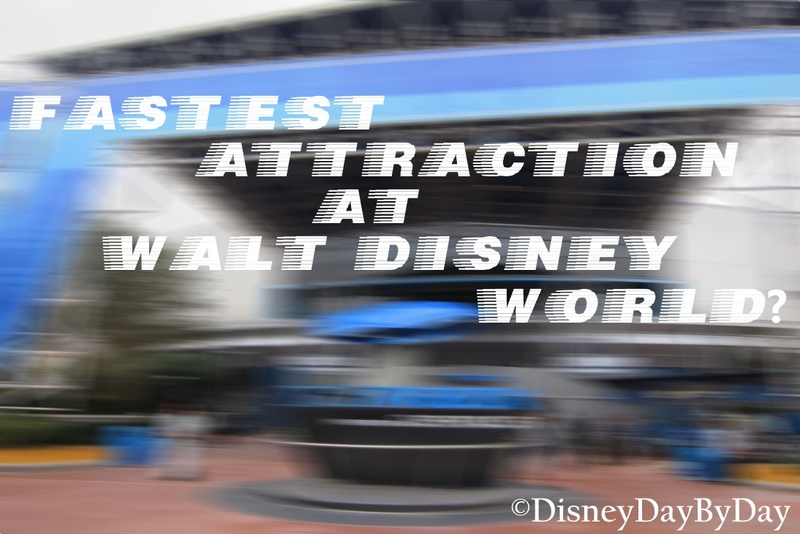 What is the Fastest Attraction at Disney World? Which ones of these are on your must do list? We continue our tribute to Maelstrom this week as it sets sail this weekend. As you make your way through this attraction your boat encounters a few trolls along the way. One of these trolls is pretty upset and makes your boat disappear, back, back, over the falls. 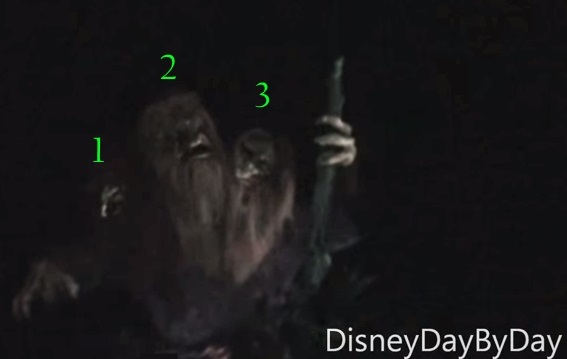 How many heads does this troll have? The answer is 3 – pictured below. How much popcorn is sold at Disney World? One of my favorite snacks at the park is the classic bag or bucket of Disney Popcorn. I even have my favorite stands in each park to get this treat. But as I was munching on my last bucket and watching the never ending line at the stand I began to wonder. Hmmm I wonder how much popcorn is sold at Disney World. 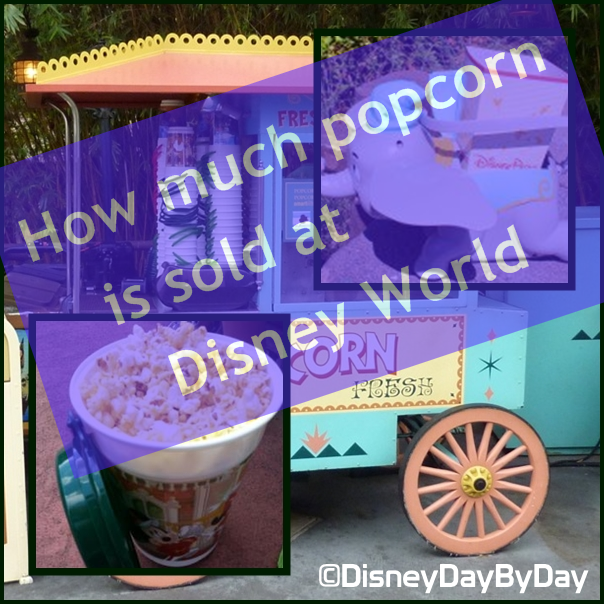 So let me ask you…..
How much Popcorn is sold at Disney World in a year? 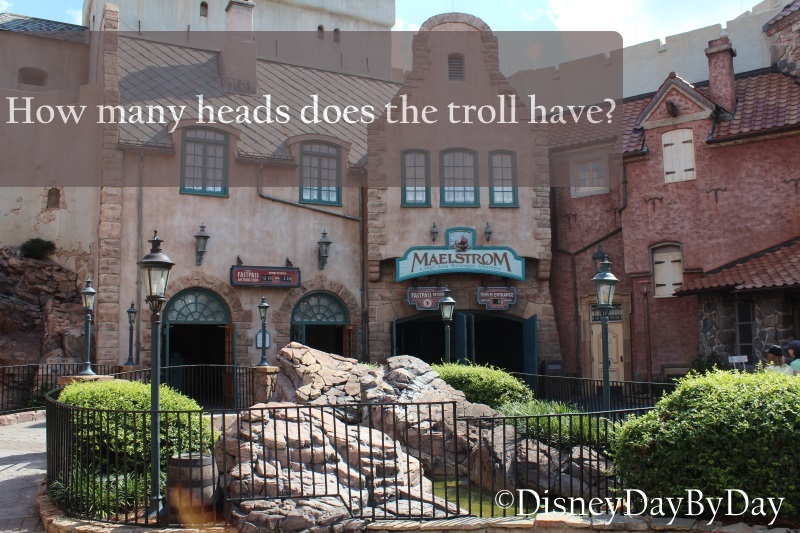 And the answer is….. C or D. This number of course changes on a daily basis, but on average Disney World sells around 5.2 million buckets/bags of popcorn each year. That would weigh over 350,000 pounds and I have a few of those pounds to prove it. Where do you like to buy your Disney Popcorn? Be sure to check out all the other great trivia offered up by our friends.